Circle Entertainment has announced that Witch and Hero 3 will arrive on the 3DS eShop in Europe on March 15, 2018 for €3.99. The North American launch will follow soon with the release date still to be confirmed. 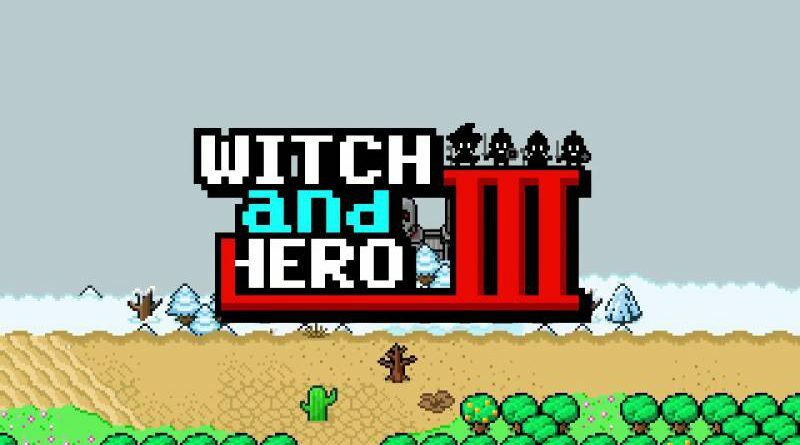 Witch and Hero 3 is an action game where you control the Witch, Hero and Little Hero at the same time. The two Heroes are physically strong and will keep fighting no matter how many times they’re beaten. The Witch, however, is vulnerable and even weaker in stone form; if she goes down the game is over. When the Heroes protect the Witch and fight they can collect monster’s blood from defeated enemies. When the Witch’s magic power is full she can temporarily be cured of the stone form and use magic to fight back against the dangerous enemies. In using each character effectively the player can take down various evils throughout the campaign.